Through the use of 2 depth sensitive cameras, MotionMetrix is able to derive a wide range of information about a runner's stride performance, kinematics, running economy, and joint loading. MotionMetrix is validated against traditional "markered" motion capture systems, and it's quite accurate. 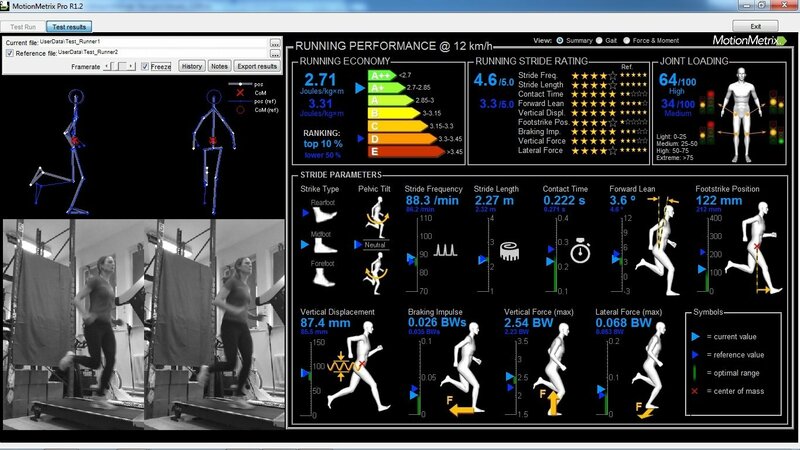 MotionMetrix Pro offers users a fully automated system for analyzing runners. No other system offers the same level of output as quickly or as easily - the system handles it all. Repeat tests as needed - they only take about 2 minutes - and email the reports (with your notes) to your patients right from MotionMetrix - simple. 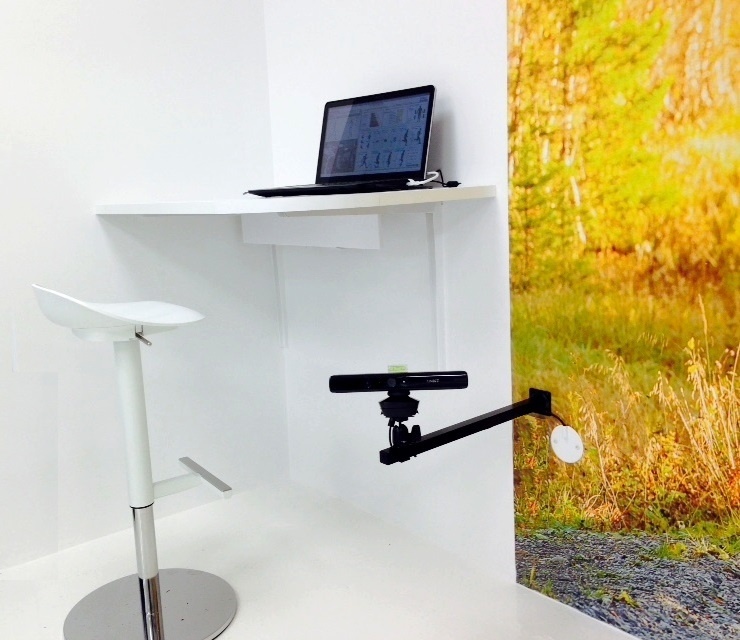 Typically, the MotionMetrix system is set up in a fixed installation, with cameras mounted to the walls in a space that is roughly 10 ft x 13 ft. However, the system is simple enough that it can be moved and setup on-site in around 15 minutes. All equipment can easily fit into your luggage as well. 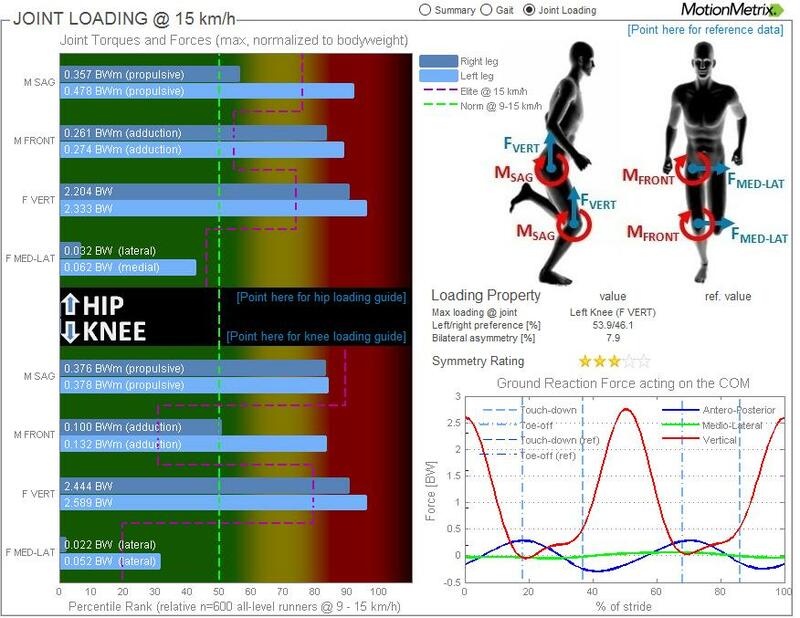 MotionMetrix Running Labs take the busy work out of analysis. The system functions automatically through the use of intelligent algorithms and a vast database of normalized data. 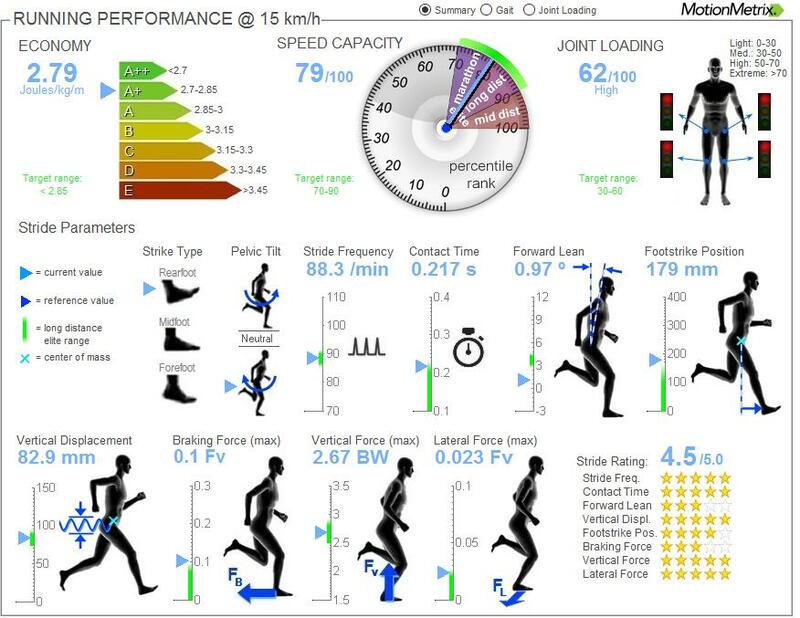 After about 60 seconds of running at a speed between 6 - 15 MPH, the system processes the data and creates a report that rates running economy, joint loading characteristics, kinematics throughout the gait cycle, alignment and symmetry, and much, much more. The system compares runners' data to a sample of elite Swedish runners, and easily allows for the comparison of analyses over time and at different speeds. 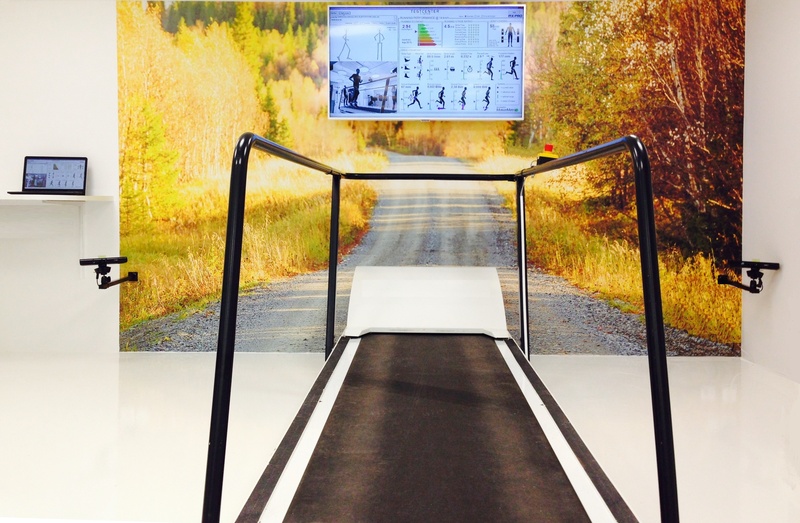 MotionMetrix provides deep insight into runners' gait characteristics. This includes detailed information about the symmetry and motion of the lower limbs at different stages of the stride and in different anatomical planes. Additionally, runners receive a magnified view of an animated segment model, which serves as visual support for the calculated parameters. 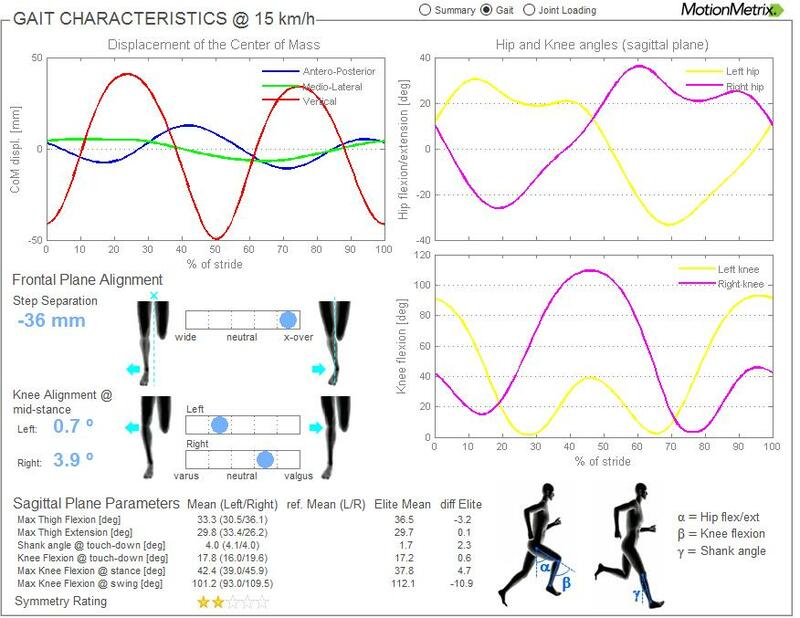 As is the norm with MotionMetrix, all parameter data are put in context via relation and comparison to elite performance and the normal population. Want to see an online, real-time demo of the system in action?